Eventgarden is an event marketing agency, growing clients’ businesses with professional event marketing tools. 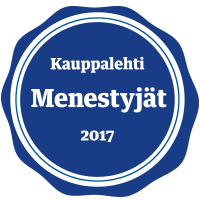 From the year 2004 onwards, we have arranged over 1.000 events, promotions, road shows and other event marketing highlights for our clients – all around Finland. Our client span ranges from small family run businesses to large international corporations. We are flexible, efficient, react quickly to changes, and we always put our clients’ needs first. Eventgarden has managed events for small excusive groups up to road shows for 40.000 guests and more.